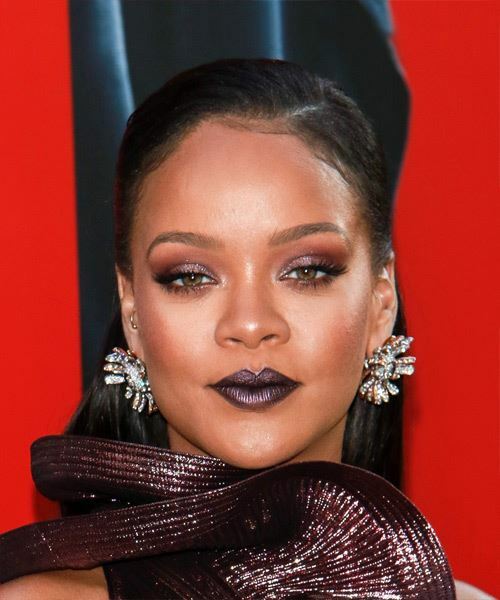 Rihanna looks stunning here with the top section of her locks parted, pulled back and pinned to the head while the length is left out to fall to the back. The hair is swept back away from the face to create a sleek look and completes this formal look perfectly. This hairstyle is best suited for those with those with thick, straight hair and will suit all face shapes.